My name is Sam Gant and I’m one of the Client Relationship Managers here in Senegal. On Thursday June 7th I had the opportunity to meet with Aissatou in her home in Parcelles, where she showed me both the aloe vera plans that she grows in her courtyard and the astounding variety of aloe vera refined products she sells–through her company she has access to more than 300 products. Mme Traore believes strongly in the value of natural supplements as preventative management, and explained how a variety of dietary supplements and ointments could serve to keep her clients healthy. Aissatou is a model vendor for FOREVER products– she has used aloe products to help her mother through a bout of illness, and with her profits from sales she recently moved to a larger apartment. She is a very capable and canny businesswoman who is willing to put in long hours of travel to succeed in the entrepreneurial field. She recently made a14 hour long day trip 50 kilometers outside of Dakar to spread her products, and keeps meticulous notes of all of her clients to keep them stocked with their chosen supplements. Mme Traore is very grateful to her lenders for supporting her, and works hard to overcome any setbacks she encounters. Serigne Mbacké Guèye is a young sheep farmer from Sema, a village in Senegal. 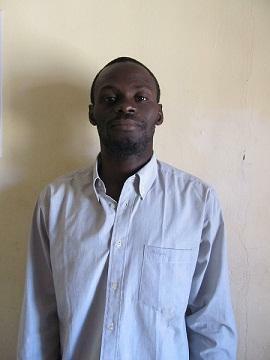 Serigne has raised sheep since he was a small child, and has grown quite fond of the profession. His sheep are especially popular during certain Muslim feasts. Serigne originally wanted to purchase 20 sheep, some feed, veterinary services, and a shepard to watch over his flock while he works in Dakar. His Zidisha loan has allowed him to buy the additional sheep and pay for the other related costs. In addition to paying for his farming related activities, Serigne was able to invest in a street boutique! While he was is in Dakar our Client Relationship Intern Sam Gant had a chance to meet up with Serigne. Below you can read what Sam wrote about their meeting. 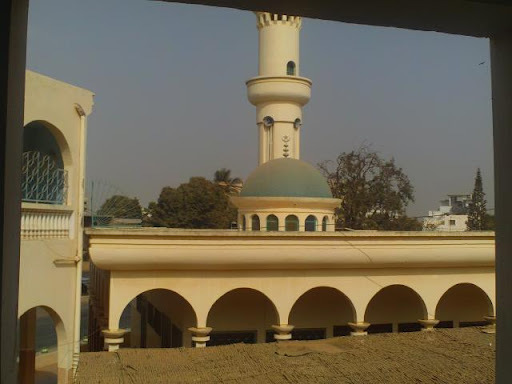 The Mosque where Serigne works part-time. My name is Sam Gant and I’m one of the Client Relationship Managers active in Senegal right now. Today I met with Serigne at the mosque where he works in the genteel Point E neighborhood, and in only a few hours received a dizzying and informative tour of the Mosque, Serigne’s home, and the neighborhood in general. Serigne remains engaged in a diversity of industries–he primarily divides his time between doing upkeep work at the mosque and working at his store Parapluies Mondiales in the HLM market. Although he continues to buy food for his sheep he has stopped expanding the flock that his family maintains in the village. He explained that business has been slow following the tumultuous elections, and he expects that he will be able to maximize his loan once the commercial climate improves. He anticipates a significant financial boost in the fall as clients begin buying sheep for a number of upcoming festivals, but for the time being the flocks need time to mature. He was very appreciative towards the Zidisha lenders and hopes to keep you apprised of future developments.